Mix together yogurt, honey and pumpkin-pie spice. 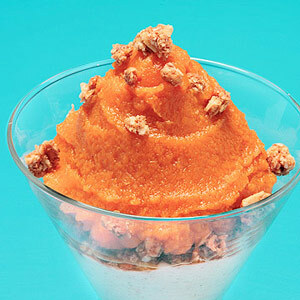 In a bowl, layer yogurt mixture, granola-bar crumbs and pumpkin. PER SERVING: 304 cal., 5 g total fat (2 g sat. fat), 55 g carb. (5 g fiber), 13 g pro.